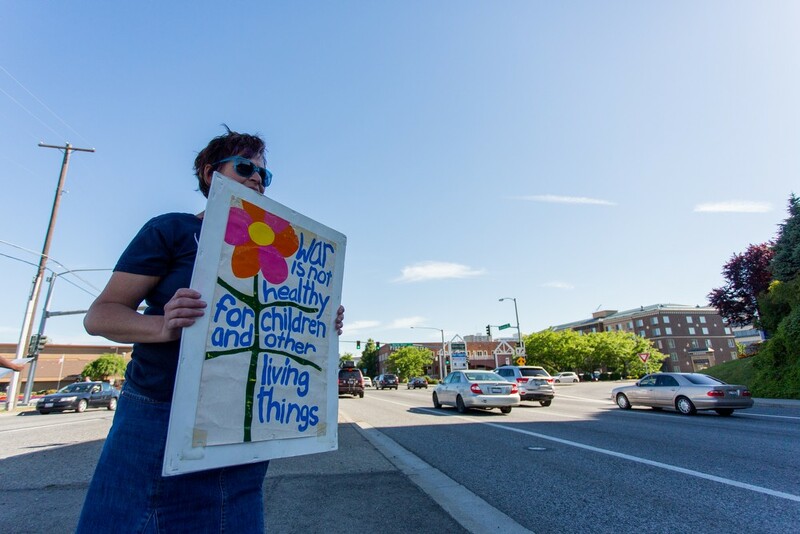 Approximately 30 Peace and Justice Action League of Spokane activists met on the median between Ruby and Division at North River Drive on Thursday during rush hour to protest the possible threat of bombing Iraq. The group handed out fliers to motorists stopped at red lights, who gave a wide range of reactions to the protest, from supportive honks and waves to angry comments and obscene gestures. President Barack Obama stated that he is sending up to 300 U.S. special forces personnel to advise Iraqi military forces, who are currently fighting against the extremist group known as Islamic State of Iraq and the Levant (ISIL) or Islamic State of Iraq and Syria (ISIS). Obama has not ruled out air strikes in the future. 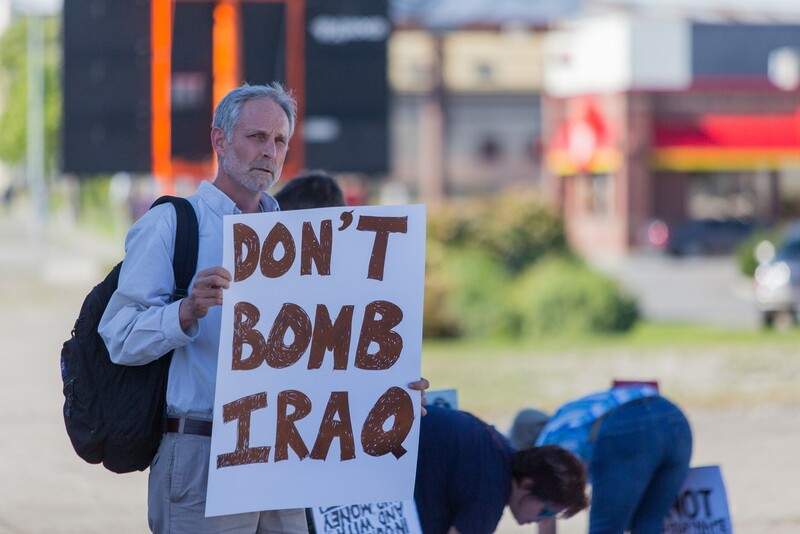 Michael Poulin protests against the threat of bombing Iraq. David Brookbank protests against the threat of bombing Iraq. 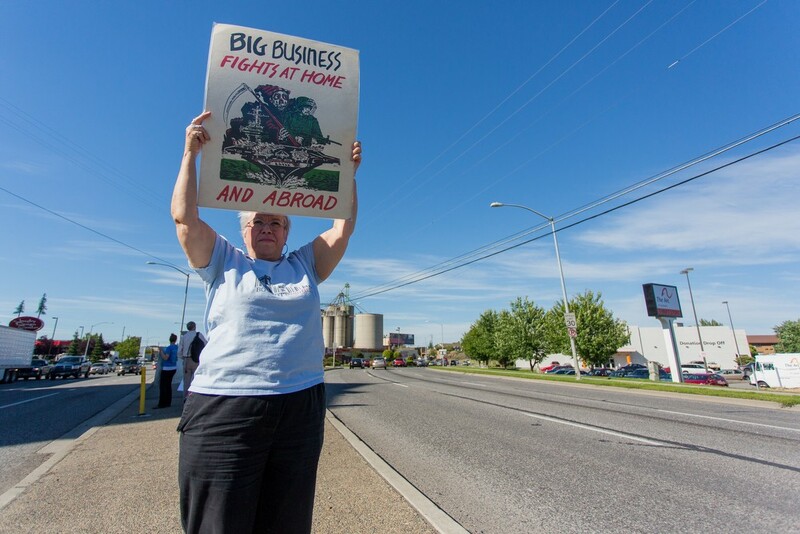 Shar Lichty protests against the threat of bombing Iraq. 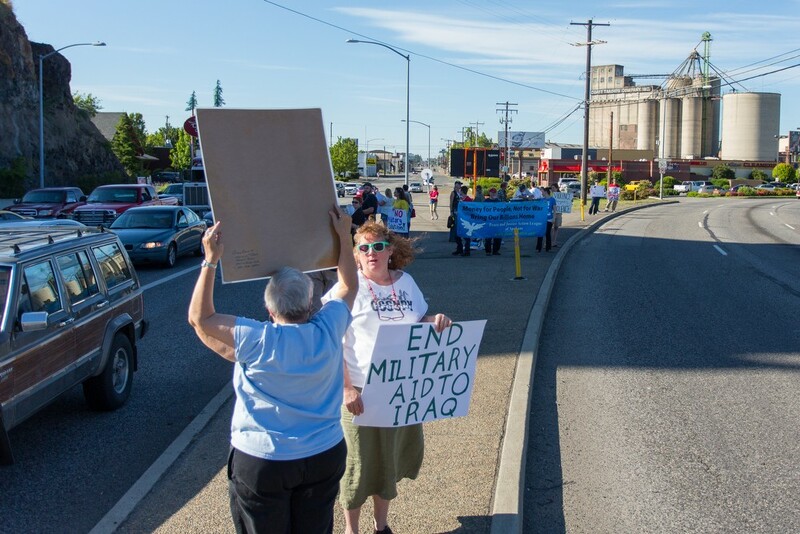 Marianne Torres protests against the threat of bombing Iraq. 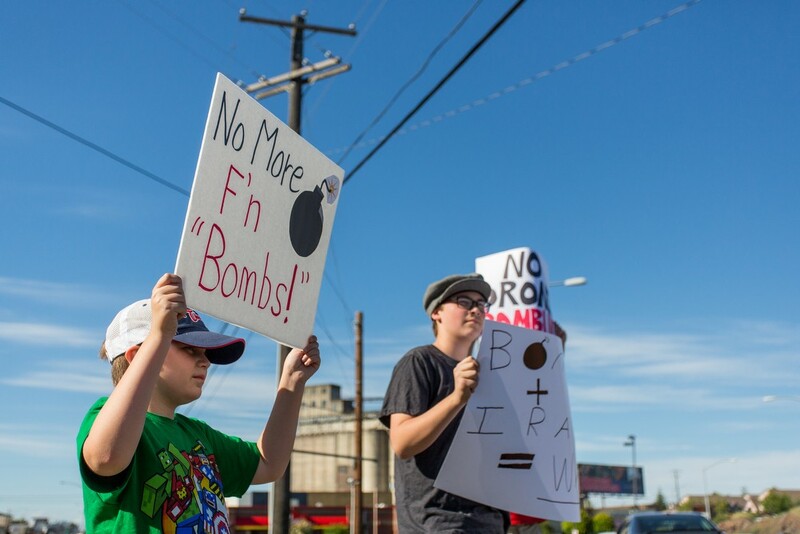 Andon Webster, left, and older brother Russell Webster, right, protest against the threat of bombing Iraq. 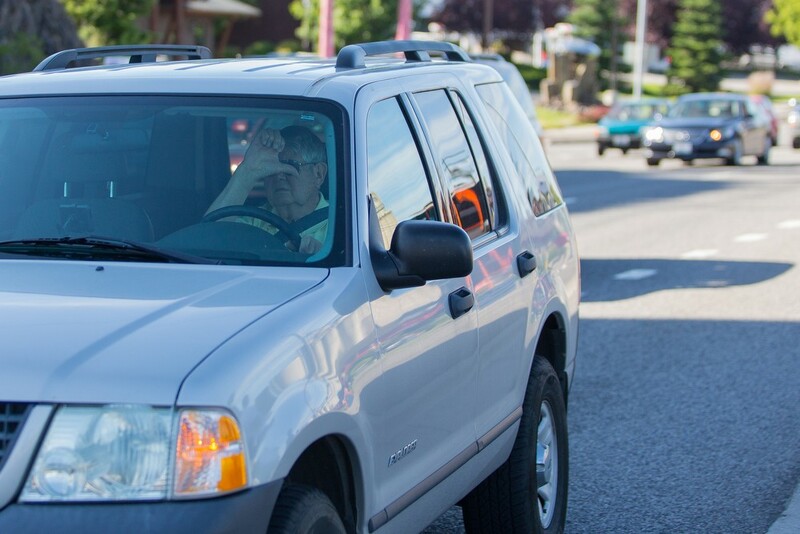 A passing motorist gives a thumbs down to protesters. 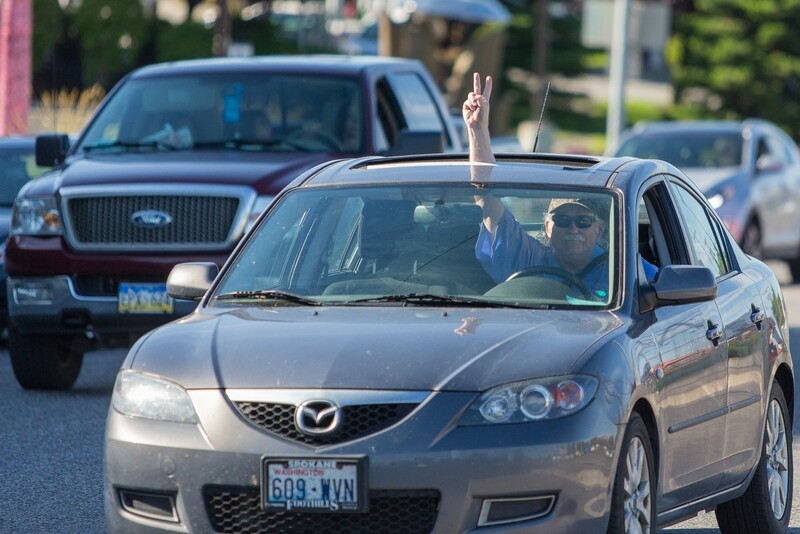 A passing motorists waves a peace sign. 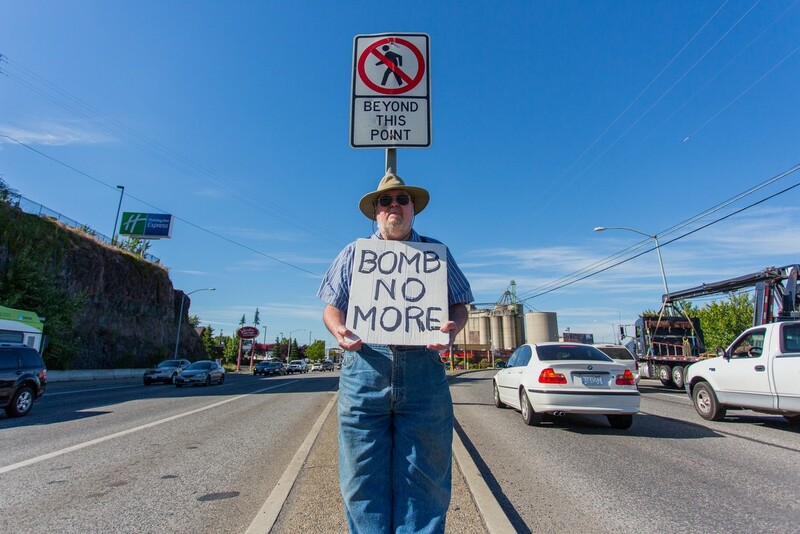 Roughly thirty people protested the threat of bombing Iraq with the Peace and Justice Action League of Spokane on the corner of Division and North River Drive. MORNING BRIEFING: Hey, remember Ukraine?